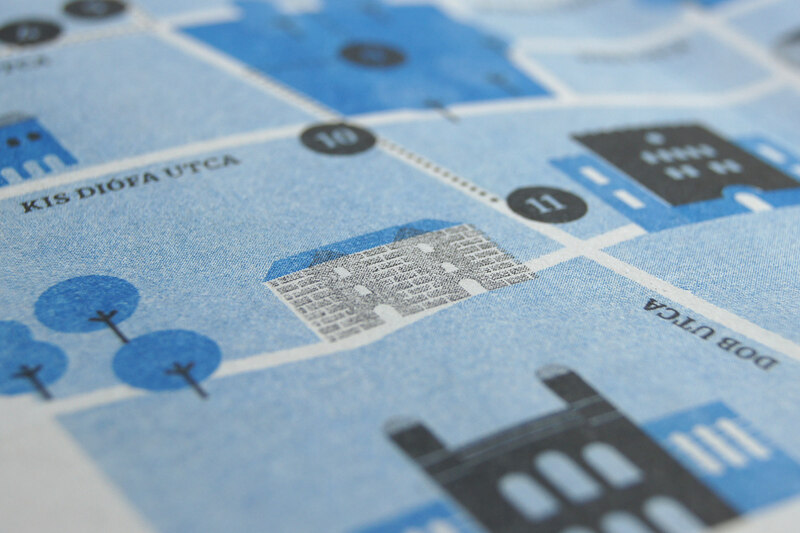 Let's look around in the district! 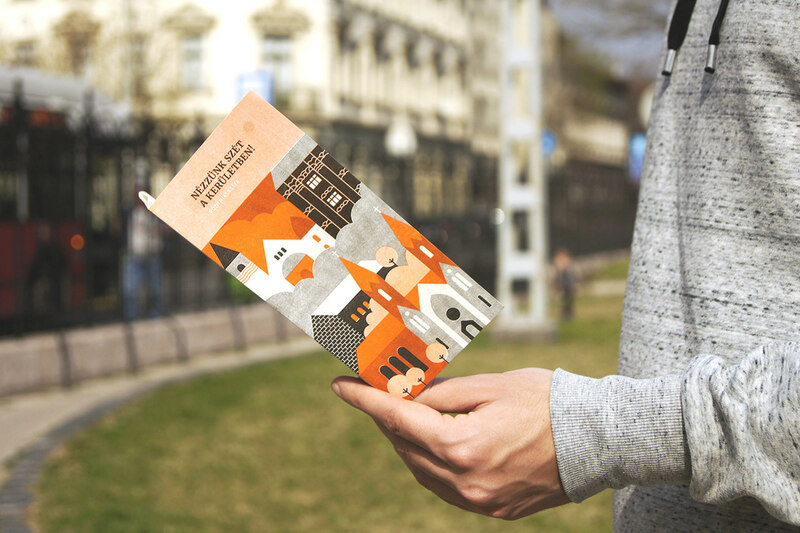 I was asked earlier this year to design two thematic guides for the 7th district of Budapest, Erzsébetváros (Elizabethtown). 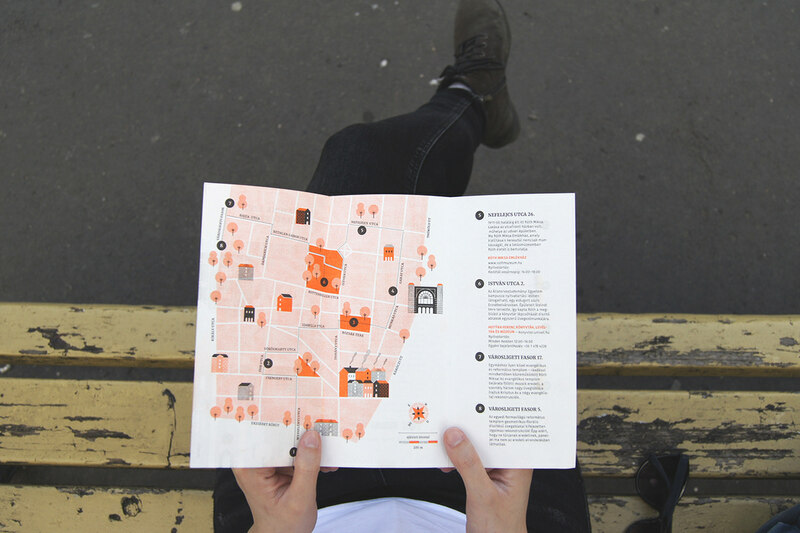 The guides contain a map which takes you on a walking tour to discover the historical and cultural places of the district. 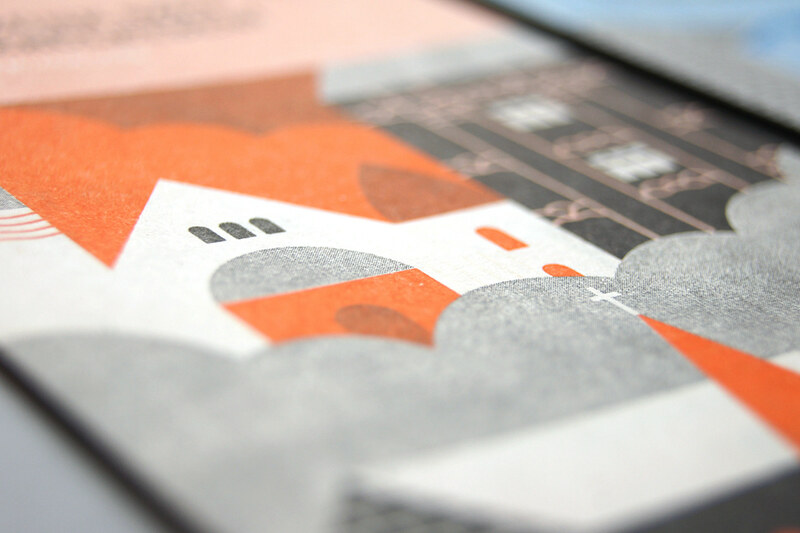 The guides were printed by risograph in two colours which gave every piece a very unique look. 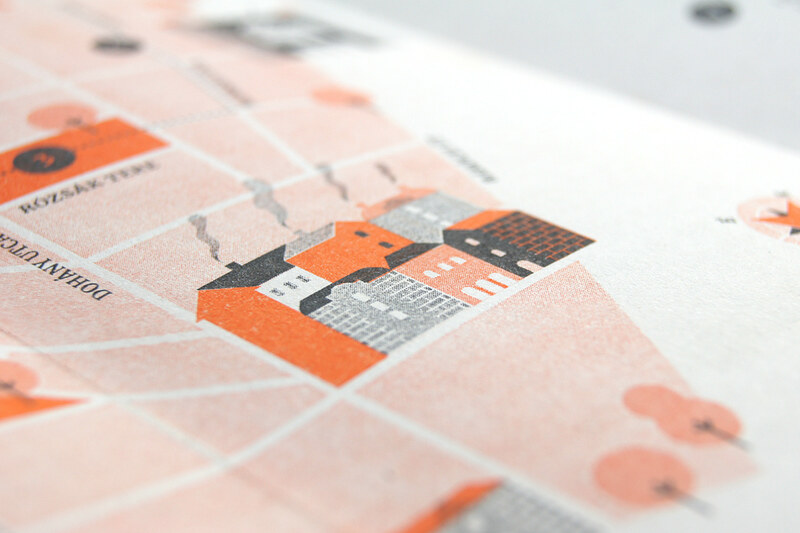 Today the district is the centre of nightlife in Budapest, but in the past it had very different face. 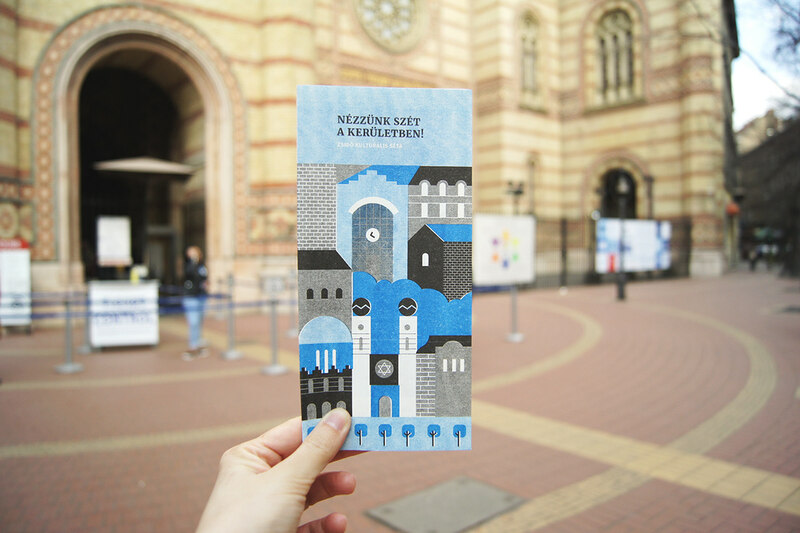 The inner half of the district was the historic Jewish quarter and in the heart of it is Europe's largest still functioning synagogue. 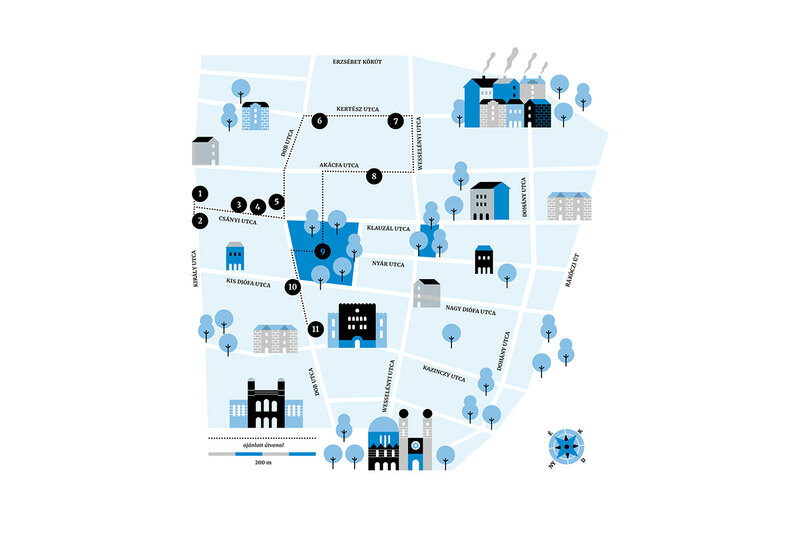 The first map is about the jewish heritage and it offers a historical walking tour which takes you back in time to the busy everyday life of the jewish quarter. 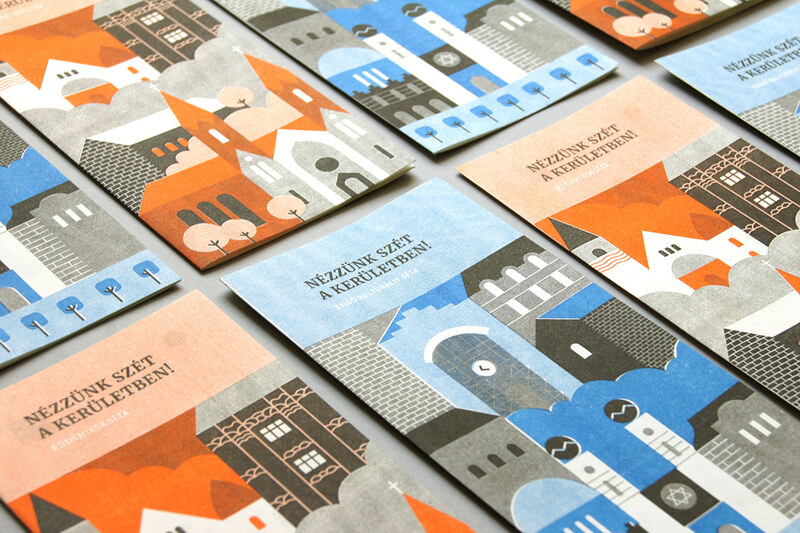 Miska Róth was a Hungarian mosaic and stained glass artist who lived and worked in the district. 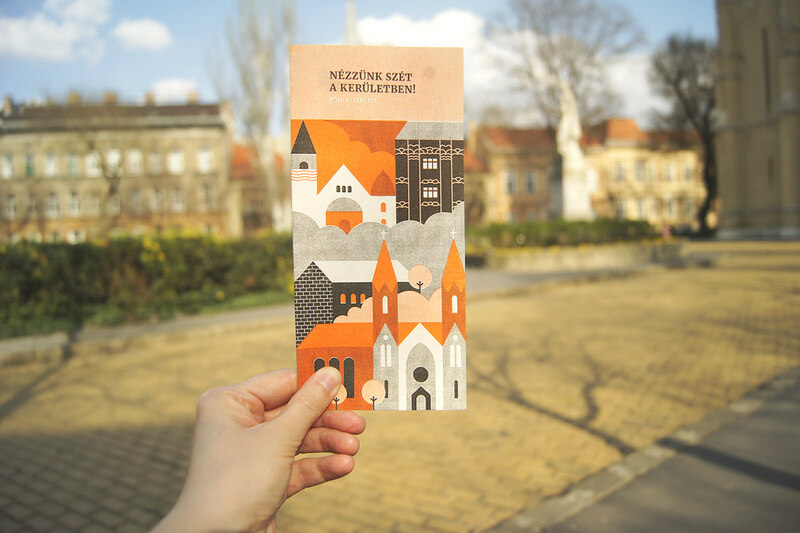 His life's work include such buildings as the Buda Castle, Liszt Academy and the Hungarian Parliament. 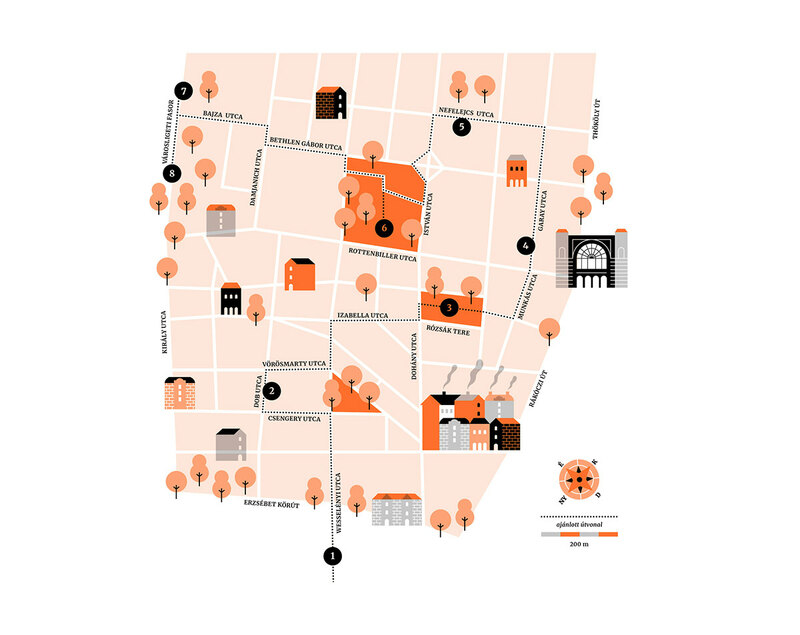 On the walking tour you can visit the buildings he worked on in the district like the glass windows on the Chatolic church on the Roses' Square or his family home and workshop. 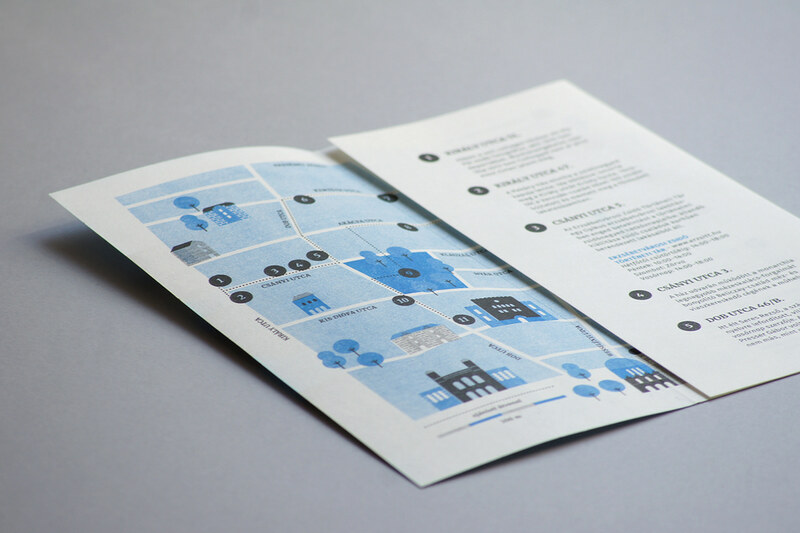 I was asked earlier this year to design two thematic guides for the 7th district of Budapest, Erzsébetváros (Elizabethtown). 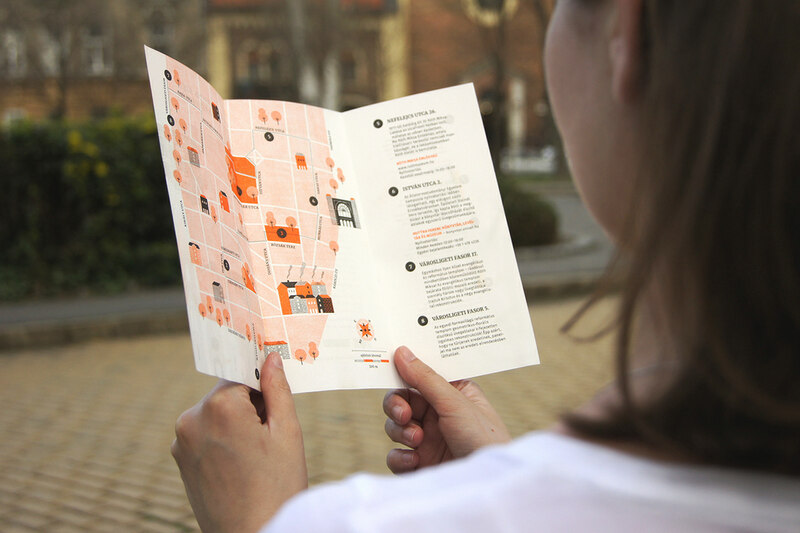 The guides contain a map which takes you on a walking tour to discover the historical and cultural places of the district. 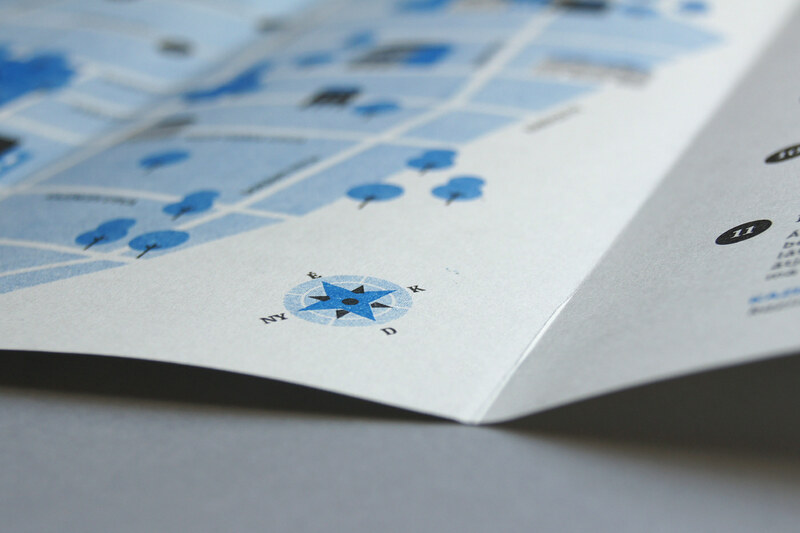 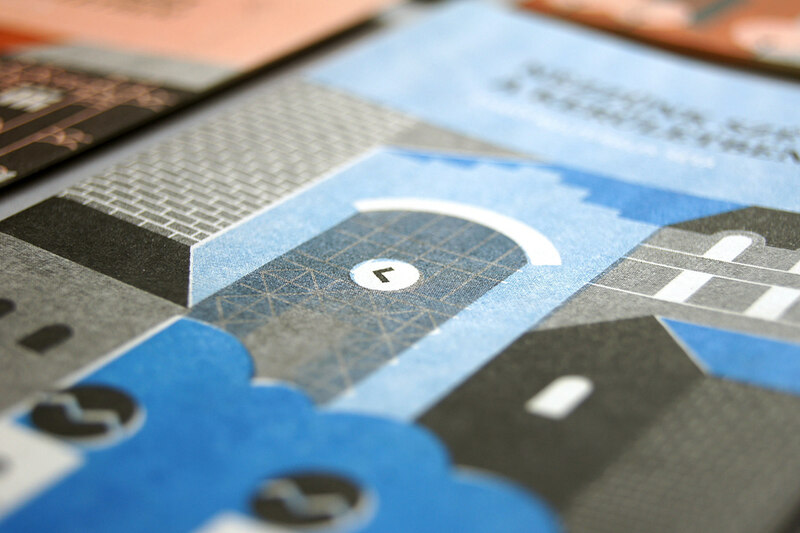 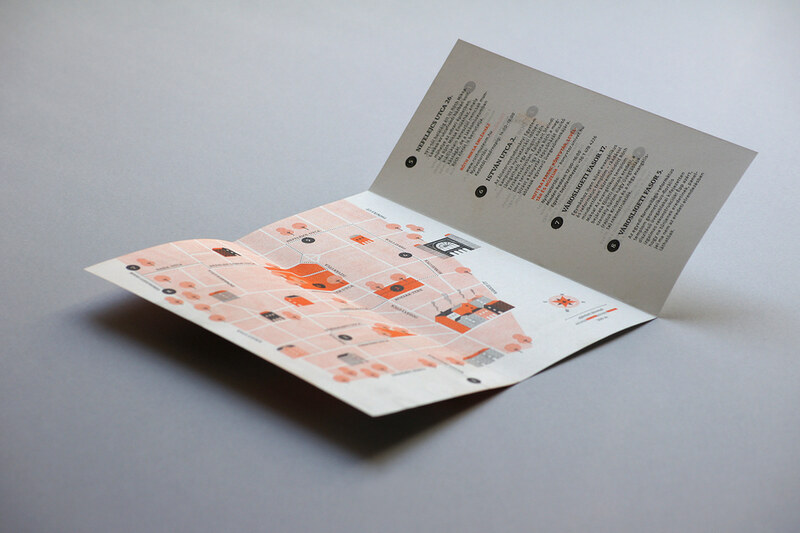 The brochures were printed with risograph in two colors.